Beetlejuice , Beetlejuice , Beetlejuice ! Its showtime! 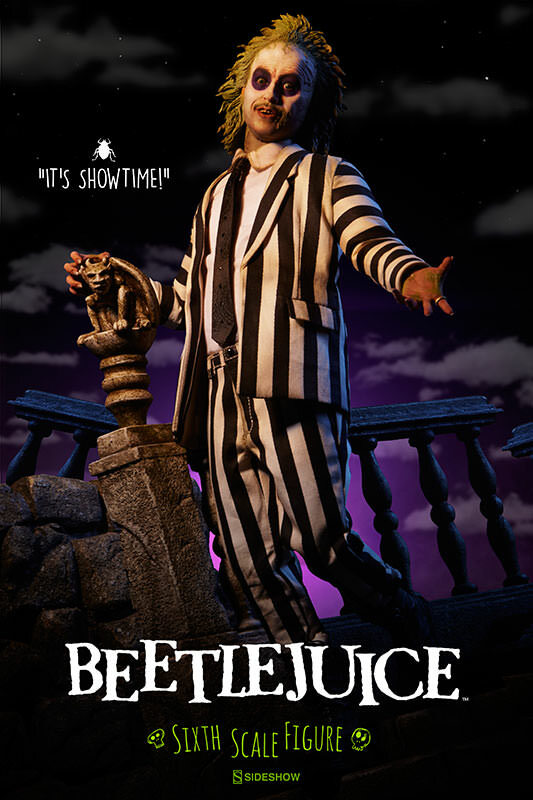 From Tim Burtons supernatural cult classic comedy, Sideshow is proud to introduce the Beetlejuice Sixth Scale Figure. ← RaddTitan.com Face/Off – Captain America Sideshow OG vs NEW!